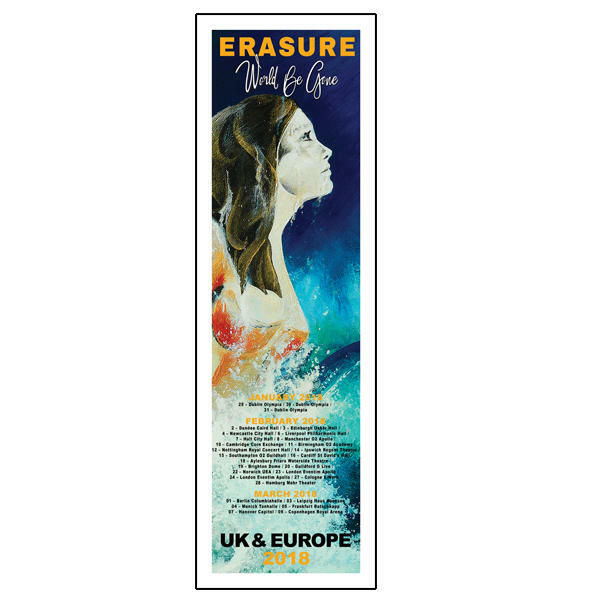 Erasure World Be Gone 2018 UK & Europe tour lithograph. Approx. 55cm x 15cm. Comes in sturdy cardboard tube to keep your lithograph safe and secure.